Ersoy Tuncay graduated from the Gaziantep Scientific High School in 1990. holds a B.E. in Mechanical Engineering from Bosphorus University in Istanbul, Turkey. He began his professional career in 1996 by working part-time as a sales engineer at "Aksa Jenerator" during his senior year at the university. In 1997, following his graduation, he began working for a valve production company, Valf Sanayi A.S. / Elginkan HOLDING, located in Manisa as a Design and Project Engineer. 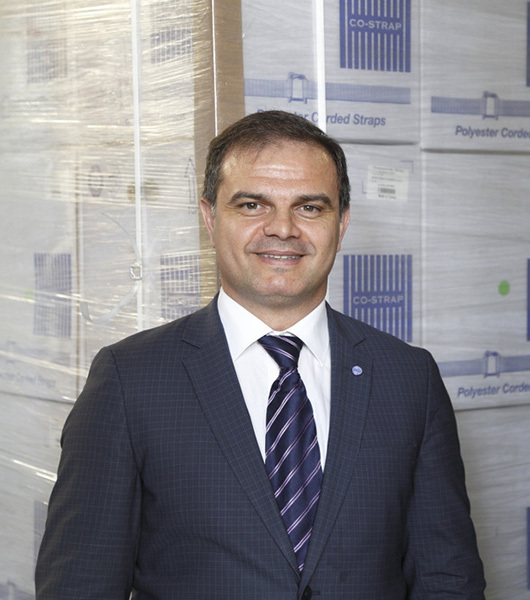 Between July 1998-2000, Ersoy Tuncay began working for Kerim Çelik / Borusan Holding A.S. as production manager. Following the restructuring of the company in early 2000, a new company, "MPS, METAL PLASTIK SANAYII A.S", was formed with the support of "Borusan Holding." Between 2000-2011 He worked for the company as Senior Production Manager and subsequently, as Senior Project and Investment Manager. During that time, he has successfully managed many projects: modernization, installation of new production lines, product development etc. Between 2011 and 2012, he worked as a plant manager at LIGNADECOR A.Ş. Since 2012, he continues his professional life as the founding partner of TT INDUSTRIAL PACKAGING LTD. , manufacturer of composite corded polyester strapping and textile (hotmelt) strapping. Mr. Tuncay's areas of expertise include production of steel strapping and stainless steel tube, metal molds, production of plastic strapping , extrusion process, production of composite materials, and printing on plastic surfaces. Ersoy Tuncay is bilingual, Turkish (native) and English (advanced); His favorite pastime is playing soccer and chess.